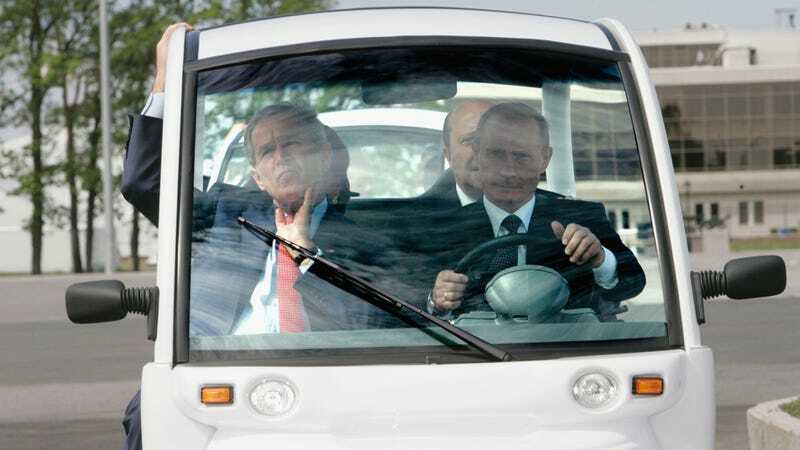 A few months back we heard that Porsche was somehow involved with developing the next generation of super-limo for Russian President Vladimir Putin. It was a little unclear initially as to what exactly Porsche would be doing, in concordance with a bunch of Russian companies, but now it looks like they'll be developing an engine. A big engine. A 6.0 to 6.6 liter turbo V12 engine, pumping out around 800 horsepower, according to Wroom.ru, a domestic Russian car site. And before we go any further, I should probably you remind you to take this one with a pretty hefty grain of salt. I don't mean to besmirch what are surely the fine people at Wroom.ru, but this isn't exactly something pouring out of official sources. Nor do I think Porsche wants to trumpet its work for a dictator, so you might not be hearing it from an official source at all. But who knows? Wouldn't be the first time a Porsche developed cars for a dictator. The whole plan apparently is for Porsche to kickstart a big portion of the domestic Russian car industry, with the supposed turbo V12 providing the basis for eight-cylinder and six-cylinder engines, and for the platform of Putin's limo to be scaled down into SUVs, minibuses, and sedans, all to be produced in Russian factories. Porsche would likely just stick to the design of the engine, rather than manufacturing it. And if the part about Porsche developing a turbo V12 sounds weird to you, well, yes, that's weird. The company isn't exactly known around the world for its turbo V12s, and as far as I can tell their most successful V12 was a completely unsuccessful one, the 3512, made for the Footwork F1 team in the early 1990s. They did have more success with the flat-12 in the Porsche 917, but that never really made it into a popular road car, sadly. But hey, Porsche did alright with the V8 in the Cayenne and Panamera. Why not a V12, too?